Pioneers in the industry, we offer decorative ss sheet / stainless steel checkered sheet and etching gold mirror stainless steel sheets from India. 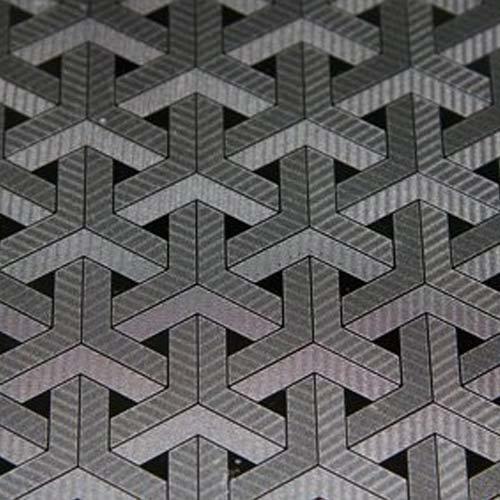 With our rich industry familiarity and knowledge, we are betrothed in providing high quality Decorative SS Sheet (Stainless Steel Checkered Sheet). These sheets are manufactured using highest grade raw material with the help of newest technology. Moreover, appropriate for varied industrial applications, these sheets are widely used in engineering, petrochemical, chemical, construction and paper industries. In order to guarantee its quality, this sheet is severely tested on varied standards. In addition to this, we offer these sheets in a range of specifications as per the demands of customers. 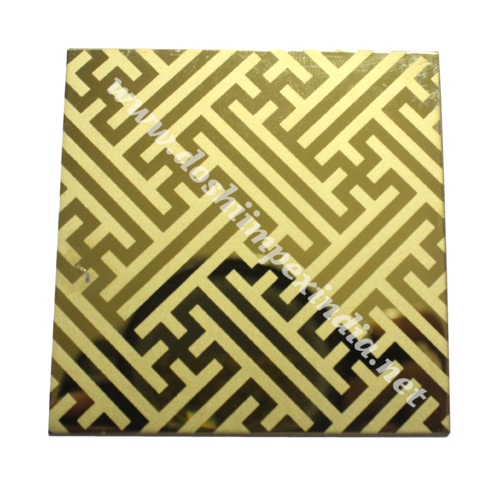 We are a prominent trader and supplier of an exclusive range of Gold Mirror Etching Sheets. The offered gold etching sheets are provided in number of specifications according to the need of clients. Looking for “Decorative SS Sheet”?